The community of women who attend OAO are simply amazing. Liz Kiniery is one of them. 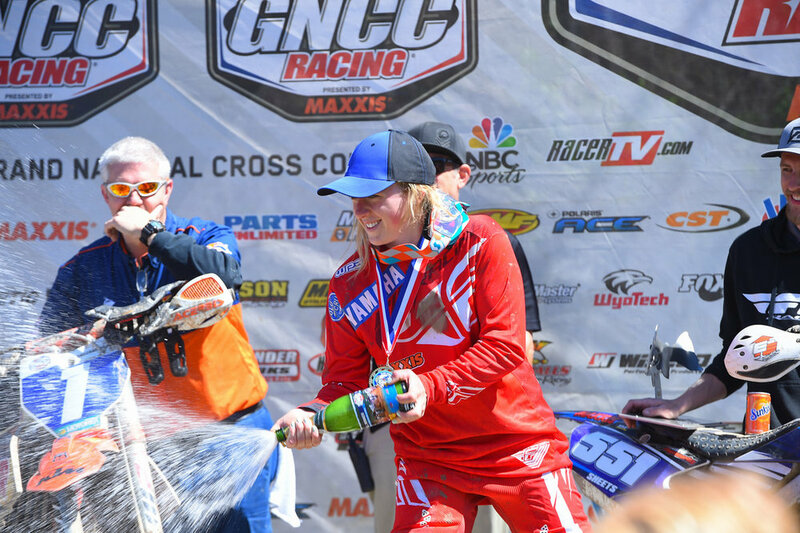 In the past year, Liz has propelled herself right into the sport, exploring the race scene and working with the Delaware Valley Trail Riders, becoming part of our partner and sponsor community in the process. This has me stoked beyond words! We need our partners to have the same level of passion, commitment and pure love for the sport that we have, and the DVTR has proven to have all of the above in spades. Read on to learn more about Liz, and how the DVTR is contributing to OAO attendees this year! HOW LONG HAVE YOU BEEN RIDING, AND WHAT DO YOU RIDE? 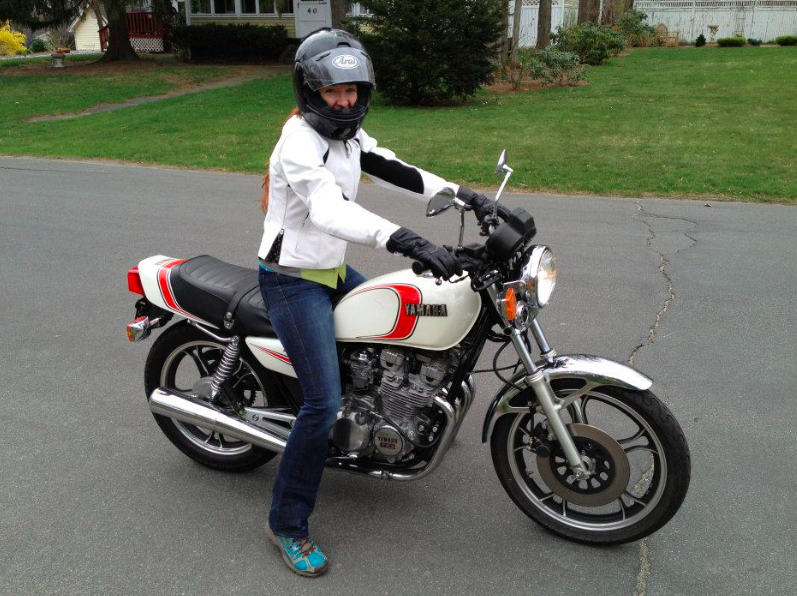 I learned to ride just a few weeks before my wedding in June 2012. I started street-riding on a Kawasaki Ninja 650, then a Suzuki SV 650, and finally my Ducati Multistrada 620. I love a 600cc motor! 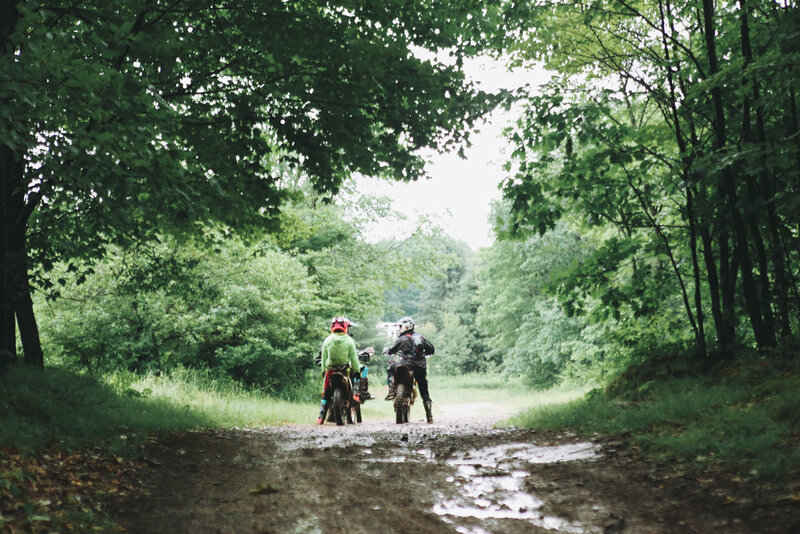 I spent a few years on paved twisties before hopping into the dirt on a Kawasaki KLX 250. I loved that KLX. It would tractor over everything and was super resilient despite my frequent slamming it to the ground. Those early experiences off-road got me hooked!! Just last year, I decided it was time for my nimble and capable KTM 250 EXC-F. I am 100% obsessed with being outside in the dirt, and I ride every moment that I can! 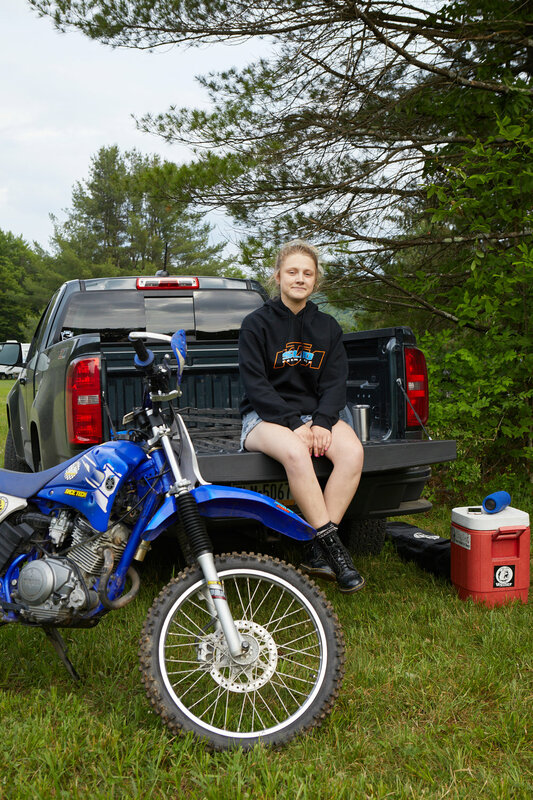 HOW DID YOU START WORKING WITH THE DEL VAL TRAIL RIDERS? 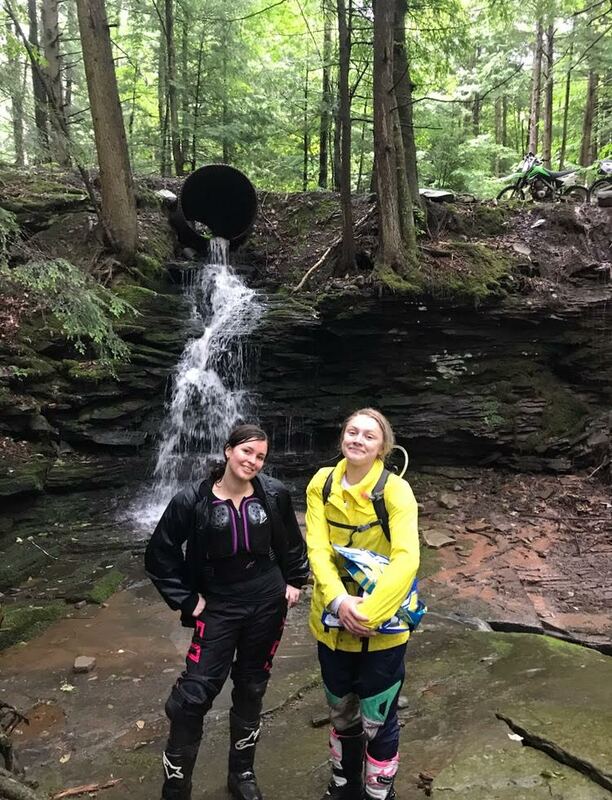 I got involved with the DVTR when I volunteered to help them prep for their Dirty Santa Ride - a chill and inclusive trail ride up at the Famous Reading Outdoors property in Pottsville, PA. I’d been following the club’s Facebook page for awhile, so when a call for volunteers came out, I decided to get involved. 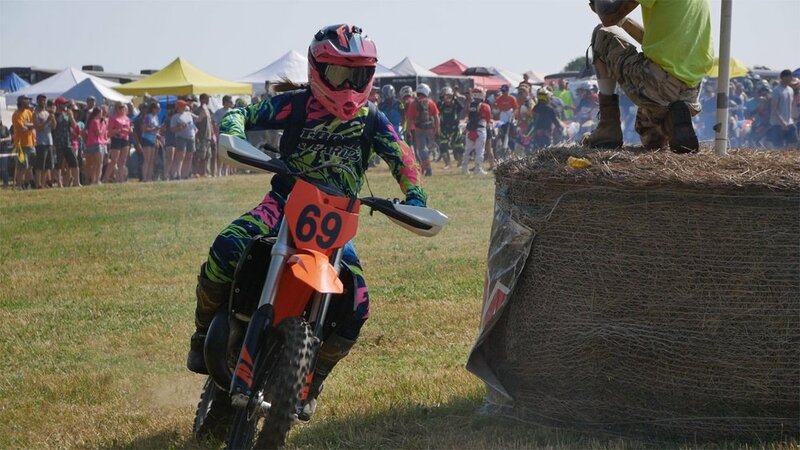 I also had a secret goal to race the entire ECEA Enduro Series, so when I discovered they were also a sanctioned ECEA club and I could race under their name, I was all in! Now I am their Director of Operations. WHAT DO YOU LIKE ABOUT BEING PART OF THE DVTR? I love the community. I’ve met a bunch of super nice people who all share the same passion. 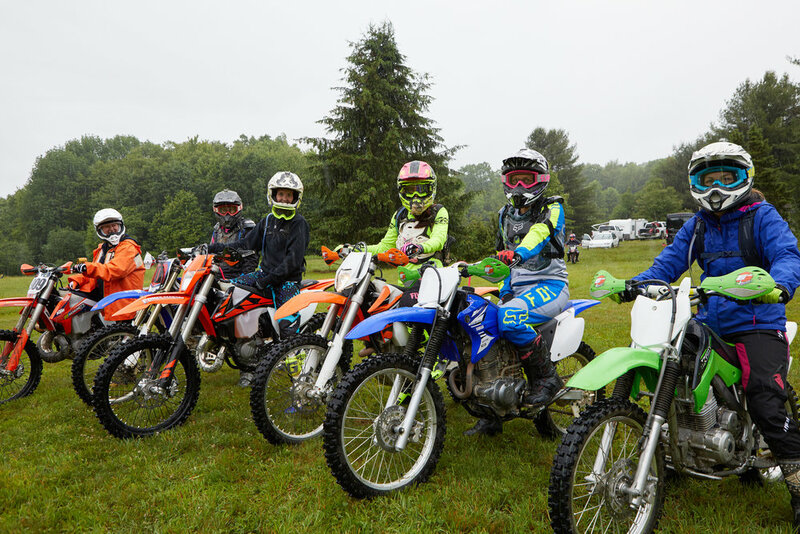 Some are seasoned riders, others are brand new - all just out to enjoy riding with friends. Everyone always has a kind word, a smile, some good advice, or a funny joke. I also love being a part of supporting the dirt community. 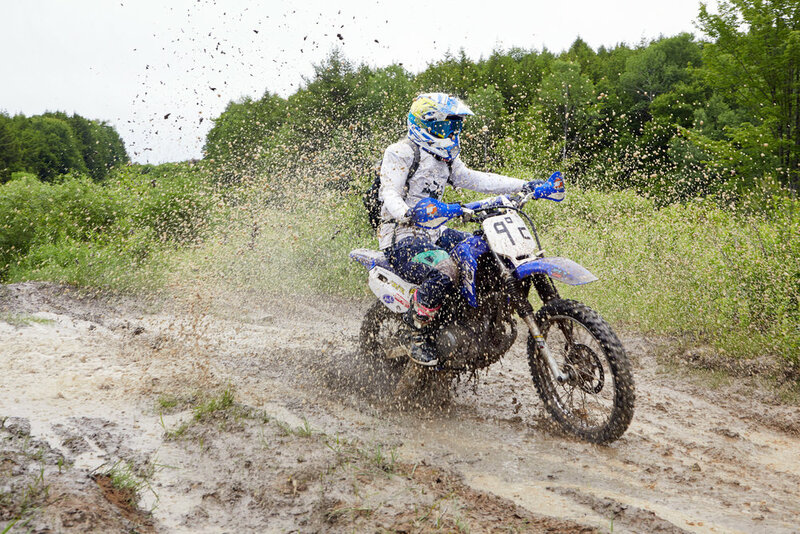 Anyone who has been in the off-road scene long enough has seen riding areas threatened by new legislation or beloved events end due to lack of support. This is a thriving group who cares about the sport - and that feels right. And lastly, I get to rep a club at races. It’s cool to feel like a part of something bigger when you’re out on the track with 600 racers - I’m not just racing for myself. 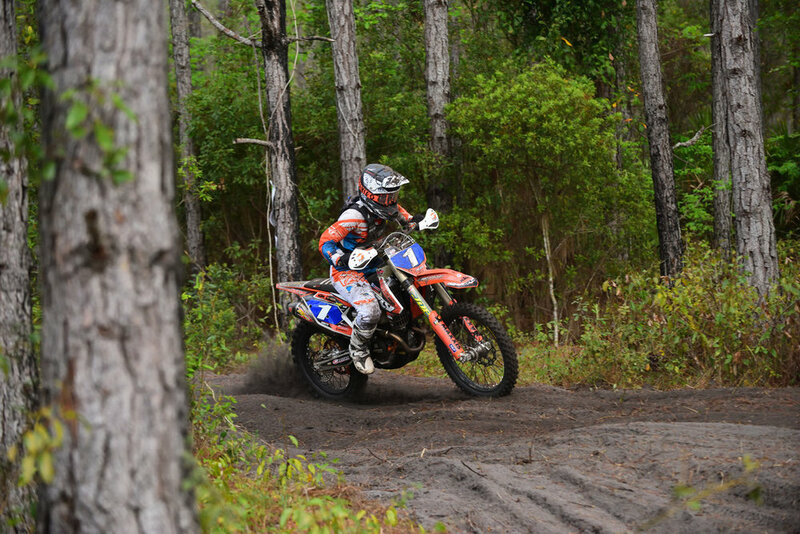 WHAT WERE YOUR FIRST ENDURO AND HARE SCRAMBLE EXPERIENCES LIKE? They were awesome! Obviously I was scared out of my mind, but I got a lot of advice and support prior, and I had some friends to lead me through on race day! I’m still a newbie to racing, but I’m hooked, and can’t wait to see more of you all out there! YOU CAME TO OAO LAST YEAR. WHAT WAS YOUR FAVORITE THING ABOUT OUR EVENT? 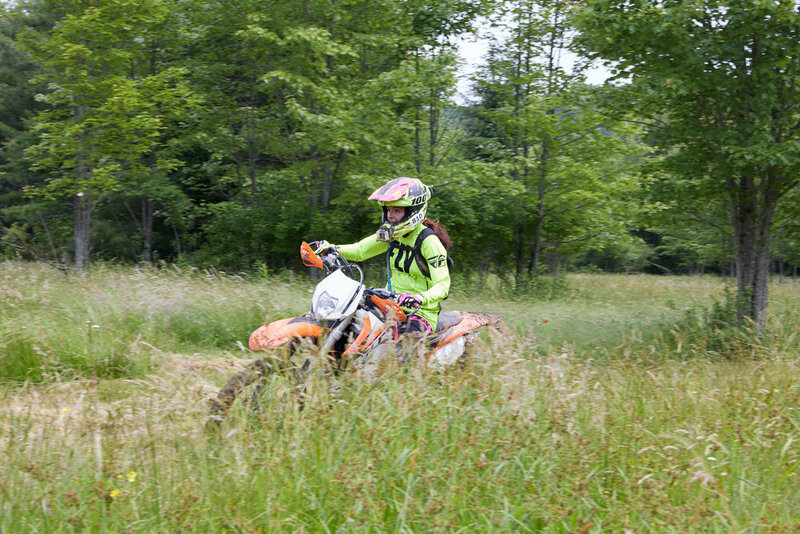 I loved this event because women got to enjoy some spectacular riding in a low-stress and supportive environment. No matter where you are on your riding journey, there is a place for you without judgment or ego! Want to take your first class? Cool! Want to tool around all morning on the grass track? Great! Want to get out on challenging singletrack? Perfect! AS A MEMBER OF OUR PARTNER CLUB, YOU’VE GOTTEN A SNEAK PEAK AT OUR NEW EVENT SPACE FOR 2019. WHAT ARE YOU MOST EXCITED ABOUT? This property is absolutely gorgeous and there is so much riding to do! It feels extraordinarily private! We spent the morning on some fun two-track that wound its way through the property and then continued alongside this beautiful ridge. In the afternoon, we made it up to this power-line trail at the top, which then dropped down into flowing singletrack that carved through the woods and popped us out onto an amazing vista! I’m most excited about getting back out there - it really is spectacular! HOW IS THE DVTR CONTRIBUTING TO THE AWESOMENESS AT OAO2019? 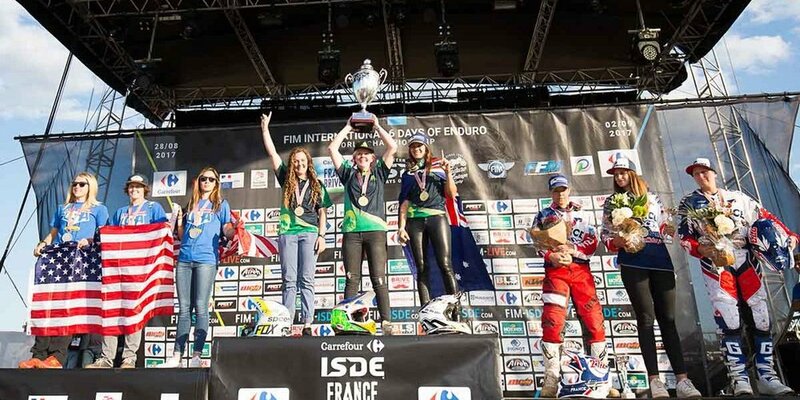 We’re working with Over And Out to further their mission of expanding riding opportunities for female riders! 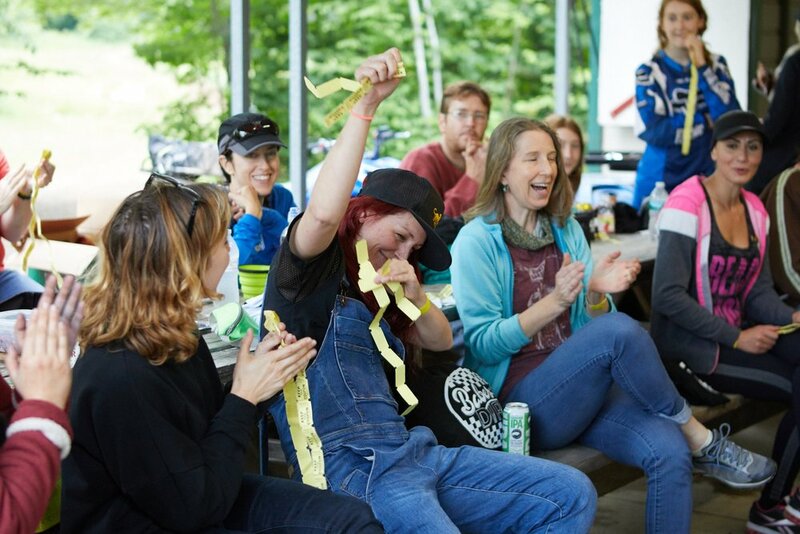 OAO and the DVTR are aligned on some crucial values like building community and creating enjoyable and successful riding events. First, DVTR is contributing two passes to the beloved Michaux Dual Sport to the OAO raffle (one of the best parts of whole weekend!) The Michaux is a ride that is near and dear to my heart. 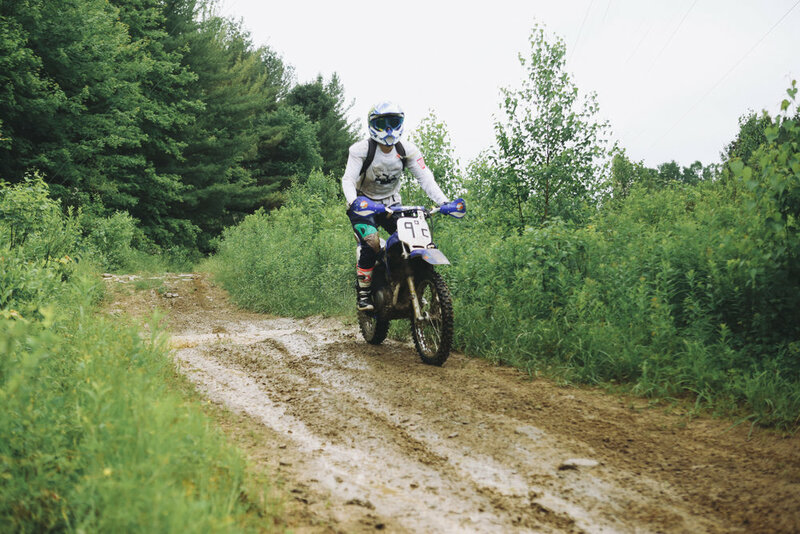 It’s the oldest running dual sport in the country, and was sadly at the brink of extinction until DVTR stepped up to work alongside MORE (the club that hosted the event for 30 years) to bring it back for year 31 on Sunday, August 18th! The Michaux Dual Sport will have a rider limit of 300 people, and will surely sell out quickly. 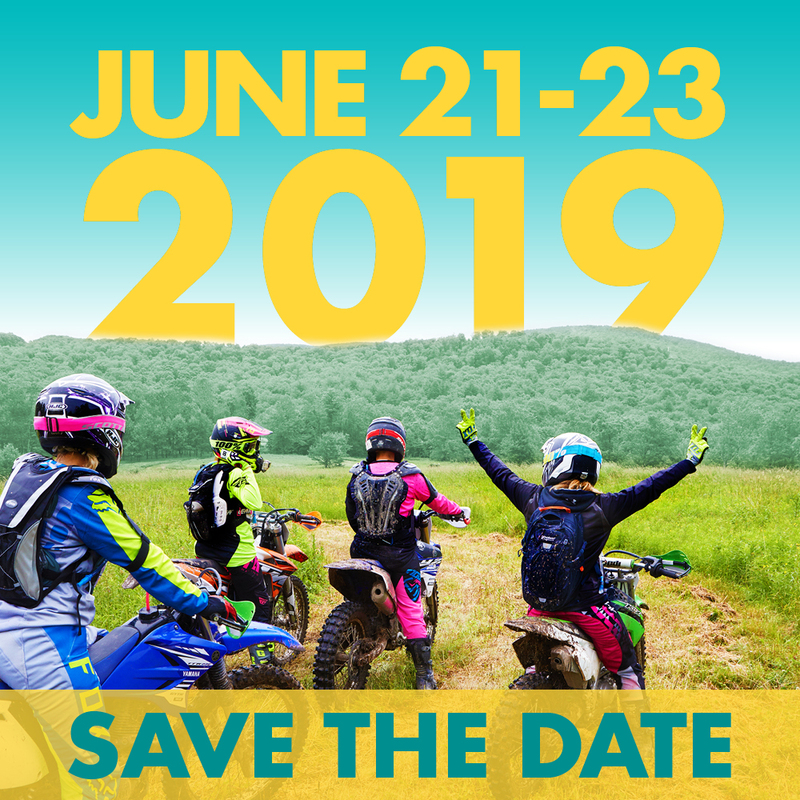 Winning your two passes means guaranteed access to an another incredible weekend of riding in the beautiful Michaux State Forest. In partnership with Over And Out, we’ll also be sharing guidance about Dual Sports, Hare scrambles & Enduros. Keep your eyes peeled for a friendly guide coming to the OAO Blog soon! Last but not least, our Women’s ECEA Ambassadors will be attending Over And Out 2019. 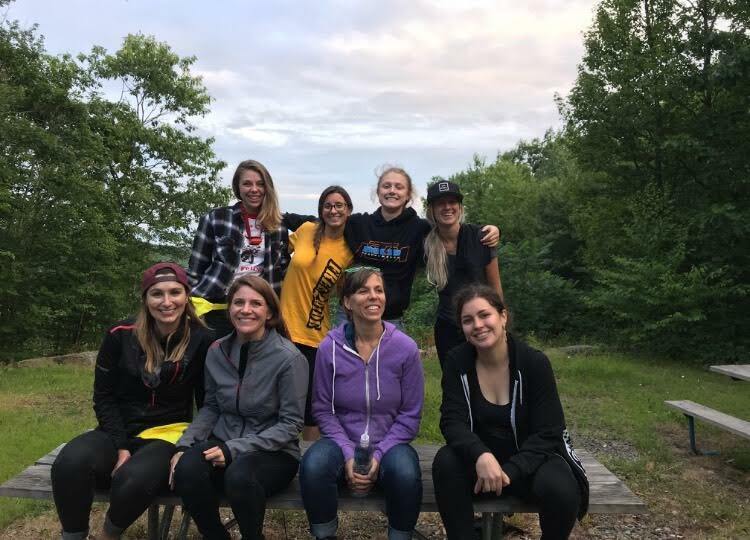 These ladies have experienced racing and riding in the East Coast Enduro Association series and are all set to connect with you and answer any questions you might have about getting involved and racing your heart out! 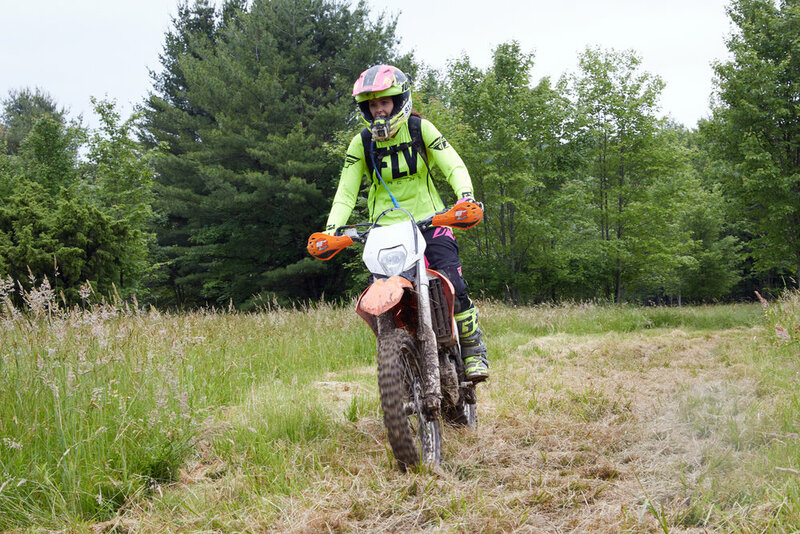 To learn more about the DVTR and the Michaux Dual Sport, check out their site, www.dvtrailriders.org.